On his 210th birth anniversary, ThePrint profiles Charlies Darwin, one of the world's greatest scientists and the man behind the theory of evolution. On his 210th birth anniversary, ThePrint profiles Charlies Darwin, one of the world’s greatest scientists and the man behind the theory of evolution. New Delhi: Before British naturalist, geologist and biologist Charles Darwin shook up science with his “radical” theory of evolution, the prevailing wisdom suggested that God had created fish in water, birds in the air and provided them with with gills for breathing and feathers for flying. 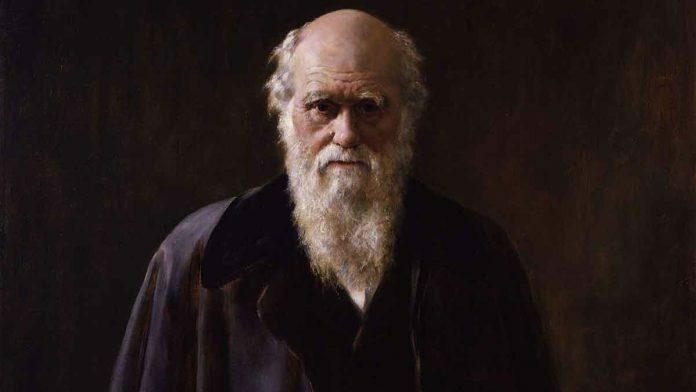 Born on 12 February in 1809, Darwin remains a thorn in the sides of conservatives around the world for discounting the idea of a divine creator — as Human Resource Development Minister Satya Pal Singh explained in a widely-criticised speech last year, no one ever saw an ape turn to a man. Even so, the criticism has done little to hurt Darwin’s image as one of the greatest scientists of human history. His birth anniversary is observed as International Darwin Day each year. On his 210th birth anniversary, ThePrint looks at the man behind the theory of natural selection. The son and grandson of physicians, Darwin was born in Shrewsbury, England. He studied medicine at Edinburgh University and then went to Christ’s College, Cambridge. In December 1831, he was selected by his mentor John Henslow as a naturalist to join a voyage of scientific exploration across the world. Aged just 22, Darwin set sail on the British Royal Navy ship HMS Beagle. During the voyage, Darwin learned about geology, biology and animal species, all of which would contribute to his theory of evolution. It was in the Galapagos Islands, located in the Pacific Ocean, that Darwin arrived at his theory of evolution, although he was there for only five weeks. During his stay there, he visited four of the 19 Galapagos Islands — San Cristobal, Floreana, Santiago and Isabela — and was struck by the diversity in the flora and fauna. “The circumstance that several of the islands possess their own species having the same general habits, occupying analogous situations, and obviously filling the same place in the natural economy of this archipelago, that strikes me with wonder,” he wrote in The Voyage of the Beagle. After a five-year voyage, Darwin returned to England on 2 October 1836. By then he had collected more than 1,500 different species aboard HMS Beagle and filled notebooks and ledgers with facts and observations. In 1839, Darwin married his first cousin Emma Wedgewood and had 10 children. Unfortunately, three of the children died before reaching the age of 10, including his eldest daughter. Darwin formulated his theory between 1837 and 1839, at a time when such postulations were seen as heresy in England. However, he published it in 1859, in a book titled On the Origin of Species. This proved historic, groundbreaking with far-reaching consequences for science, and modern Western thought. It is widely believed that Darwin waited for over 20 years to publish his magnum opus because he feared a religious backlash: He was nervous about the likely reaction of the church authorities to “such blasphemy”. Darwin’s theory of natural selection argues that some individuals in a species are better at surviving than their peers, due to genetic mutations, and hence will have more children who will carry forward the species. Darwin’s theory countered 13th-century Christian theologian Aquinas’ “fifth way“, which suggested that the presence of design in living beings demonstrates the existence of the ‘Supreme Creator’. Darwin’s theory faced scepticism and criticism in equal measure. American oncologist Siddhartha Mukherjee sought to highlight Darwin’s contribution to biochemistry in his book, The Gene: An Intimate History, pointing out how Darwin and Austrian monk Gregor Mende, in the same epoch, took the first scientific steps into the field of the genome. Darwin died on 19 April 1882, a month after he suffered a seizure.